This week we've selected four business development jobs at architecture firms available on Dezeen Jobs, including vacancies with Bjarke Ingels' architecture studio BIG and Heatherwick Studio. Bjarke Ingel's architecture firm BIG is looking for a business development manager to join its office in Copenhagen, Denmark. 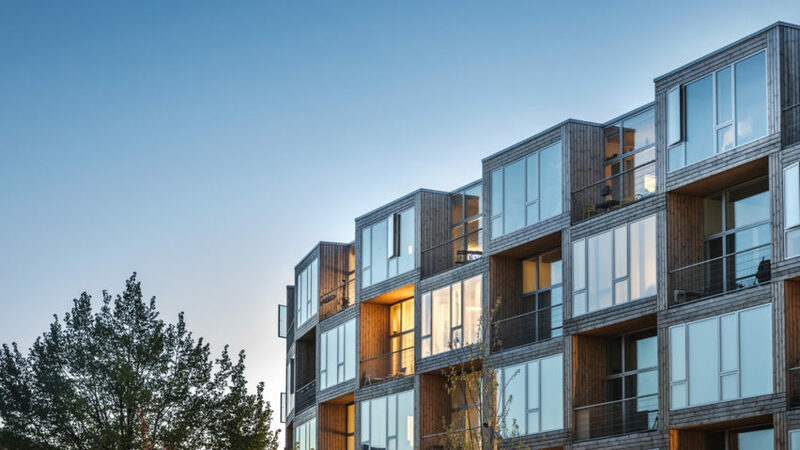 The practice has recently completed an affordable housing development called Dortheavej Residence in Copenhagen, which has 66 new homes for low-income residents. Thomas Heatherwick recently designed two residential towers on either side of New York's High Line park, which feature barrel-shaped windows and gridded exteriors. The British designer's practice Heatherwick Studio has an opportunity for a contracts manager to join its practice in London. One of British architect David Adjaye's most notable projects is Dirty House, an art studio and apartment building in Shoreditch that is painted black with an illuminated roof. The architect's firm Adjaye Associates is seeking a business development manager to join its London office. Bennetts Associates is recruiting a creative and ambitious marketing coordinator to join its London studio. In 2016, the practice completed its extension of London's Grade II-listed Shaftesbury Theatre, creating new office spaces and adding a weathered steel serrated box on top of the roof.